I don't know where to start with this one. Obviously CGRectIntersectsRect will not work in this case, and you'll see why. 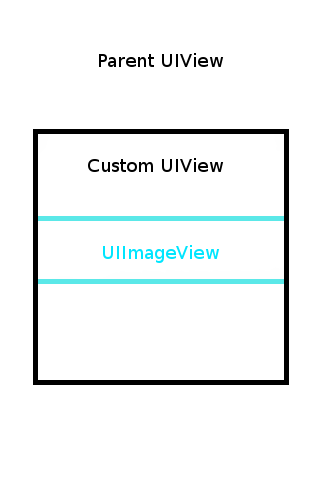 I need to prevent users from making these UIImageViews intersect, but I have no idea how to check intersection between the two UIImageViews, since not only do their frames not apply to the parent UIView, but also, they are rotated without it affecting their frames. The only results from my attempts have been unsuccessful. Use [view convertPoint:point toView:nil] to convert the 4 boundary points of both views to a common coordinate system (the window coordinates). The converted points form two convex quadrilaterals. Use the SAT (Separating Axis Theorem) to check if the quadrilaterals intersect. This: http://www.geometrictools.com/Documentation/MethodOfSeparatingAxes.pdf is another description of the algorithm containing pseudo-code, more can be found by googling for "Separating Axis Theorem". Update: I have tried to create a Objective-C method for the "Separating Axis Theorem", and this is what I got. Up to now, I did only a few tests, so I hope that there are not too many errors. tests if 2 convex polygons intersect. Both polygons are given as a CGPoint array of the vertices. tests (as described above) if two arbitrary views intersect. // If projections do not overlap then we have a "separating axis"
Not the answer you're looking for? Browse other questions tagged ios objective-c frame intersection separating-axis-theorem or ask your own question. How to discover if 2 CGPath roteted rects intersect? 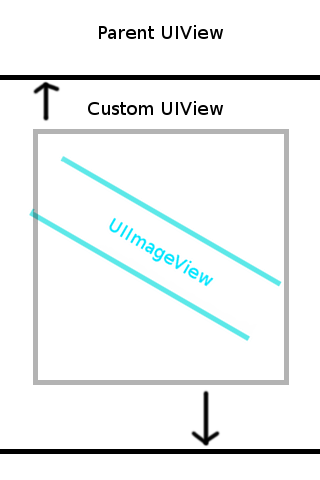 How to understand frames for UIViews with rotation transforms applied?